Here is an object that should not be. to objects not accessible before. My very first program "hack" was to use this easel object to access otherwise forbidden objects--like the image of this room. So the room you see is actually an object, not just a background. That's why objects can appear "outside" the window, the landscape can shift, and objects like balloons can hover in place. I drove my little brother nuts trying to figure out how I made rooms look like this one. It was amazing. Good times, Bob. Good times. 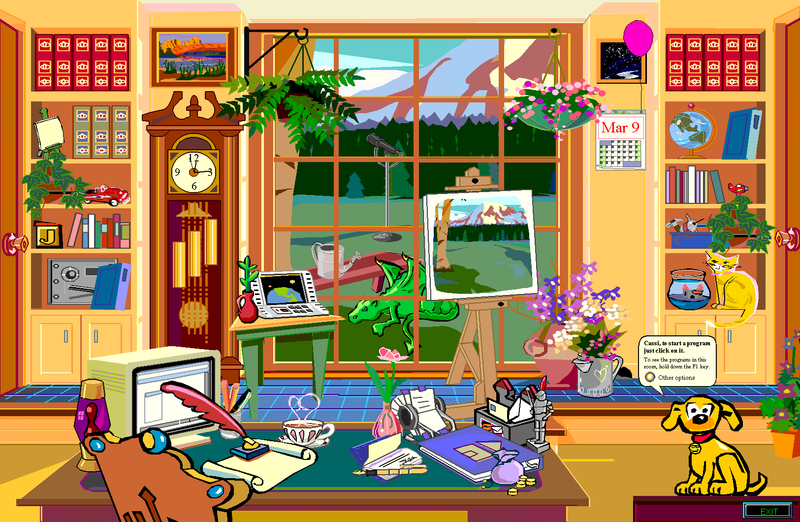 This room is a screenshot from Microsoft Bob, being run on an emulator of Windows XP. Objects are in places they shouldn't be.